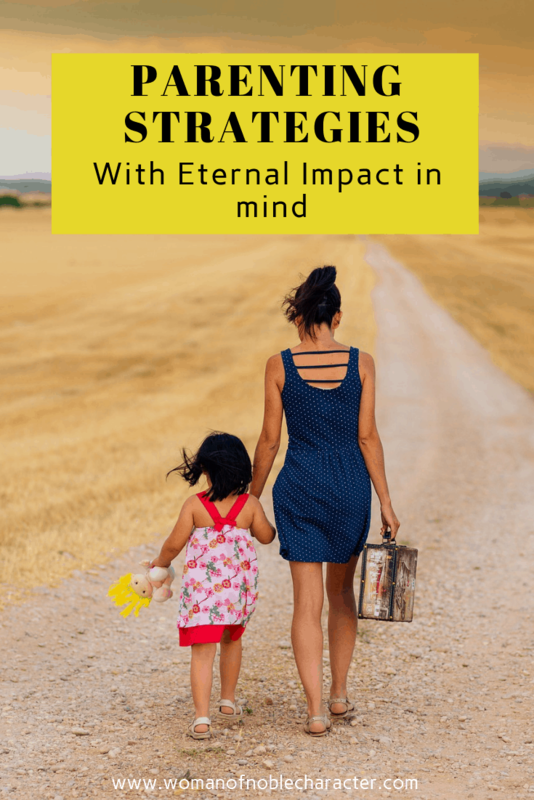 Being a Christian parent is a counter-cultural effort with eternal implications. The way we shape the lens through which our children see the world will affect them for a lifetime and for eternity. With that in mind, we must be diligent and focused in our approach to raising them to have a Kingdom perspective. We live in a culture obsessed with appearance, success, and instant gratification. These are dangerous, magnetic forces that can easily entrap adults and children alike if they are not equipped to face them. Only with God’s help can Christian parents raise children who are more likely to become counter-cultural. We want kids who live in the world, but whose lives are guided by God. This is why it is critical to pour into them the truth of who they are in Christ. They need to hear how much they are loved by Jesus. We must teach them that their choices are building blocks for the future. They need to know that even if they do fail, they are still loved. Christian parents must walk a fine line. We need to give our children boundaries, but we must not be so stringent that we suppress their ability to make choices. This is a difficult balance to find as a parent, and only through prayer and good communication with our children is it possible. 1 – PLACE GOD FIRST – Prioritizing worship services and family prayer and devotions is critical to raising children with eternity in mind. 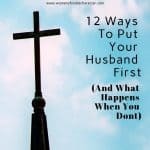 It should be clear to children that God comes first because we love Him, not because it is a ritual or a chore. We place Him first because of His great love for us. Part of this priority means making every effort to avoid letting other events “bump” church/worship time. Although sometimes unavoidable, we should avoid signing our children up for a sports league that has weekly games during Sunday church time or Wednesday Bible study. Teaching that God takes priority is something we must be intentional about. Children follow our example. If they don’t see us reading the Word and praying, it is unlikely they will view it as vital for their own lives. Modeling for our children what we expect from them is the best way to teach them. My children know that time in my “Prayer Lair” is a daily practice for me. As a result, they have become accustomed to doing their own devotions as well. We memorize scripture, pray together, and discuss what they learned in Sunday School. Helping them take ownership of their knowledge of the Bible is exciting. These moments boost our faith as well as the faith of our children. These qualities will develop naturally as you set a pattern for mealtime. Praying, sharing the good/bad of the day, and discussing what they learned at school are all great ways to engage children in communication with God and family. Other benefits include learning manners, how to wait their turn in a conversation, and even laughter. Every meal should include some laughter! 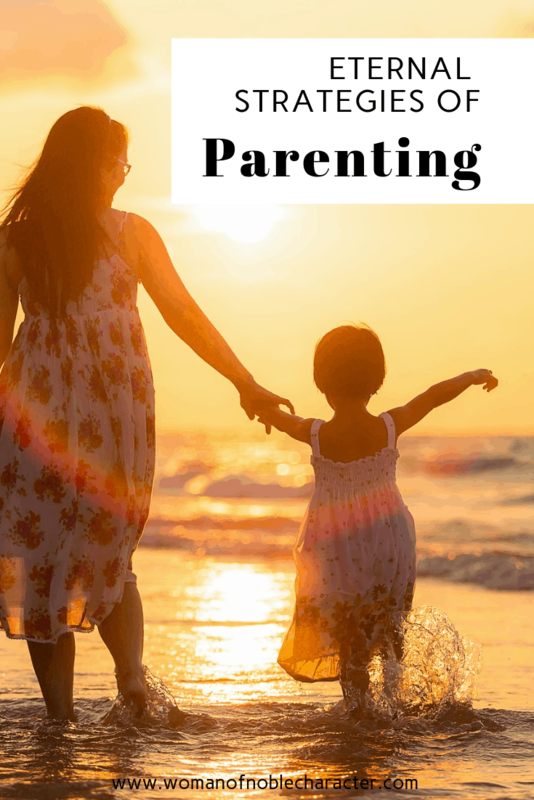 3 – DON’T OVERSCHEDULE – Admittedly, this sounds like a tall order with neverending events and activities for parents and children alike. There’s good news though. We don’t need to accept every invitation proffered and we don’t need to attend every event. Learning to prioritize and say no may be difficult at first, but once we learn how and model it for our children, we send a positive and critical message that family time and downtime matter. It’s in these quiet moments of rest that we can connect with our children, getting to know what is important to them and showing them what healthy relationships look like. It is also worth noting that downtime allows children to be bored, which is good for them. They don’t need to be active and entertained every waking moment. They can learn to occupy themselves instead of having their entire lives scheduled for them. 4 – GIVE VOICES AND CHOICES – While our home is not a democracy, it is not a dictatorship either. We believe in giving age-appropriate voice and choice when possible. While we have the final say, the kids are free to chime in about family outings, what they’d like for breakfast, and things of that nature. Allowing children to lay out their own clothes for school is good also. As long as they are weather- and activity-appropriate, we don’t need to micromanage these kinds of choices. At times, we will let them decide if they want to skip a sports game if they are tired. We may also let them choose between two possible invitations or activities with their friends. We don’t want to bulldoze over them and prevent them from exercising independence. However, we do not permit our children to tell us what to do or what they are going to do. It’s a balance we have learned which allows us to be in charge while still allowing them some autonomy. Guiding them in decision-making is important because as they grow, they will need to tap into the skills of making God-honoring decisions. Without any practice in making choices, they are less likely to succeed in doing so. 5 – CHOOSE GOD-HONORING ENTERTAINMENT – Just because something is on the television or the radio does not mean it is appropriate for children. We are very conservative with what we allow our kids to listen to and watch. We do PG-13 or under ratings in our home and at times, even veto things falling into these categories according to content. Anything depicting rude behavior is not allowed. Documentaries about animals and nature are educational and help expose our kids to the beauty of Creation. Shows about cooking allow them to learn skills in the kitchen. We mostly listen mostly to music but do listen to other kinds also, as long as the content doesn’t contain profanity or suggestive lyrics. It’s critical that we teach our children that the world will try to influence them through entertainment and that everything put forth to see and hear doesn’t necessarily honor God. We want them to have a healthy perspective that points them to Jesus and we strive to do that by closely monitoring the entertainment they consume. This is one way of helping them learn to guard their hearts. 6 – DISCIPLINE IN LOVE – Children will need discipline at times, and administering it in love is key. 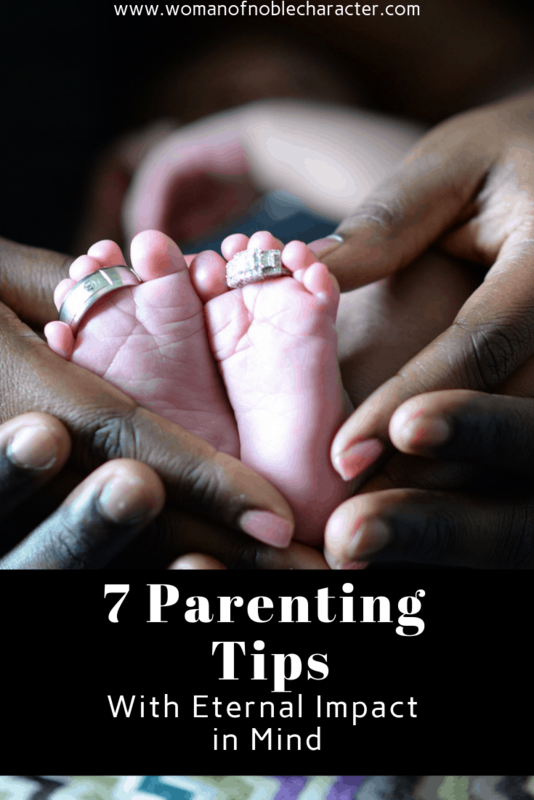 Regrettably, early in my parenting journey, I disciplined out of anger rather than love. Now, I explain to my children what they did wrong and ask them some questions about why they made the choices they did. Then, they may receive an age-appropriate consequence. However, it is definitely always part of our aim to let them know we love them. We aren’t perfect. Sometimes we yell, but more often we don’t these days. 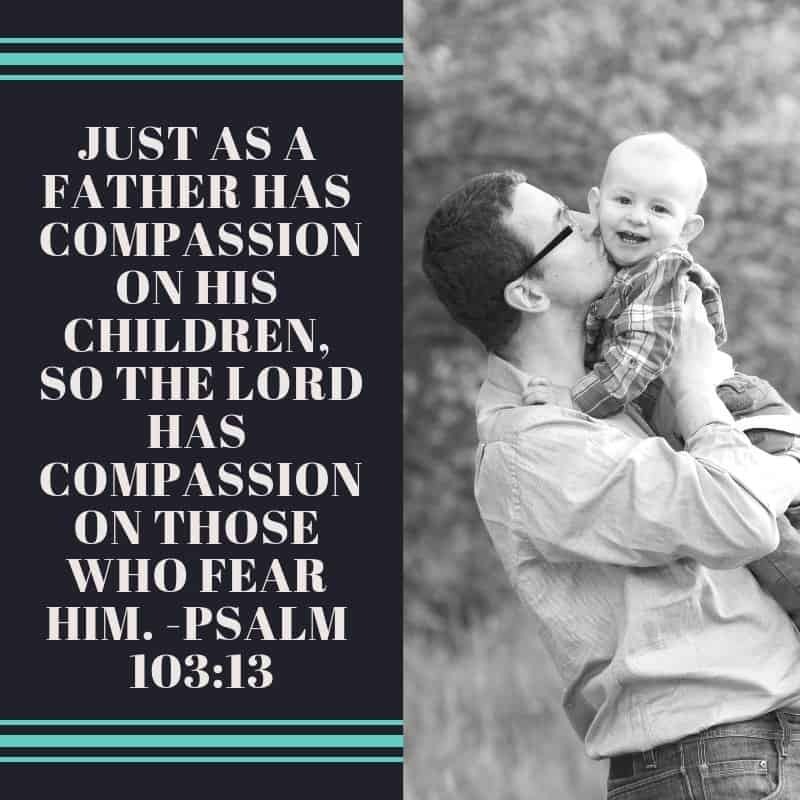 Parenting is a learn-as-you-go experience and we continually look to the Lord to help us. Just as our Heavenly Father has to correct us, we must follow His example and discipline from a position of love. 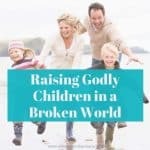 7 – PRAY FOR YOUR CHILDREN – This may seem obvious, but it is easy to let the craziness of a busy day slip by without praying for our kids. However, there are two ways to do it that are equally important. Firstly, pray for your children while you are with them. I pray over mine at night when we are doing our goodnight routine. I pray aloud, asking God to protect, empower, embolden, and use them. This does two things. Firstly, it models for them how to pray for others. Secondly, it allows them to know our hearts. When they hear our prayers for them, it strengthens our bond and brings them the sense of security that we care. The rise and fall of their breathing melts my heart as I pour out the last sounds of the evening over them by praying. Also, praying on our own for our children is critical. This is the time to pour out our deepest needs and dreams before the Lord. If a child is struggling with friends or has strayed from the Lord, cry out to Him. It’s the time to lay our children’s future in the hands of the Lord. Ask Him to put a call on their lives that will be clear to them. 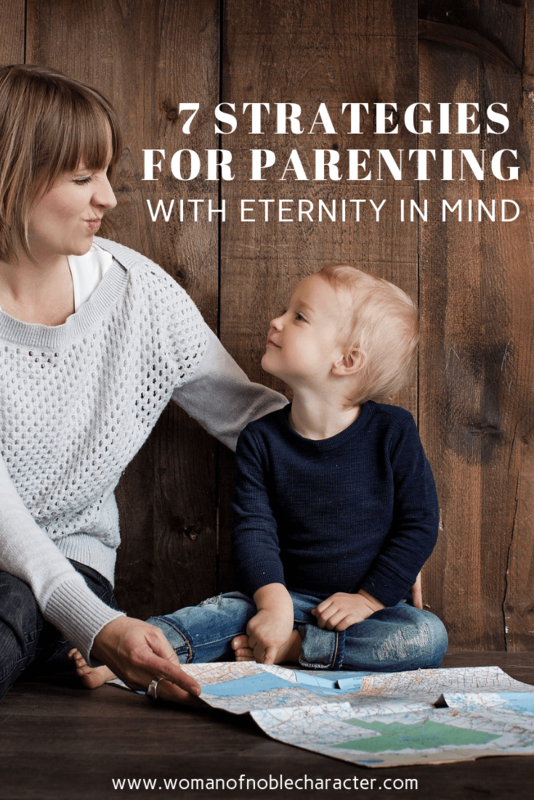 Parenting with eternity in mind is definitely an effort requiring prayer and cooperation with God. However, the seeds of eternity we are sowing into the future of our children is unmatched. As Proverbs 22:6 says “Train a child up in the way he should go and when he is old he will not depart from it”. May He guide you as you do the most important work a parent can do, Kingdom-Minded Parenting. 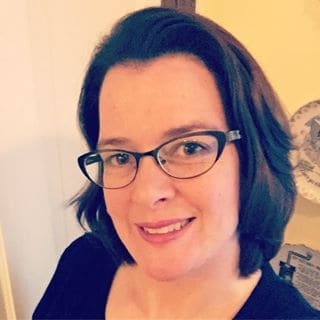 Tracy Gerhardt-Cooper is a New Jersey wife, mom, writer, and teacher. Her blog, Earl Grey and Yellow, was born as the result of a running injury that has reignited her love for writing. She enjoys the outdoors, a good cup of Earl Grey, and autumn leaves. Even as adults, we are to honor our parents. Learn more about that here.